Well, I hope the holidays treated you well & that your tummy is still very round from much good food. A few weeks ago I posted about this awesome faux wood fridge made with woodgrain contact paper. Well I went out & bought some from my Dollar Tree. Our Dollar Tree has become a Dollar Deals so its more like a Dollar General or Big Lot's sort of thing. I got a big roll of a light color for $2 & a smaller roll for $1. I used them to cover loads of things so each Make it Mondays for a bit is going to be about contact paper. I love it so much! 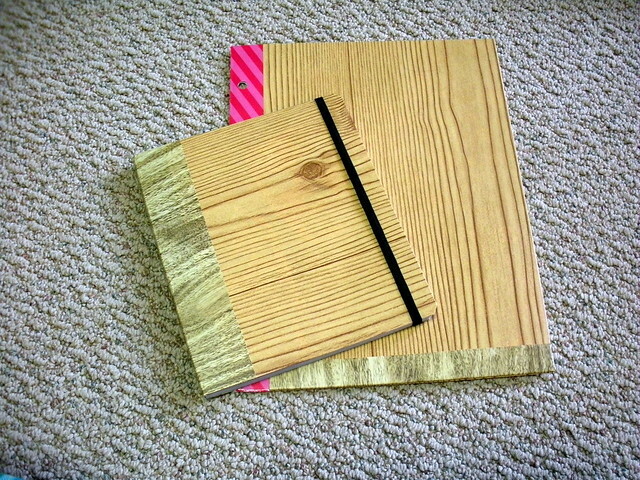 Here's what you need to make a notebook and folder set. Perfect for those kiddies going back to school this week or even a great place to put all your new years resolutions! 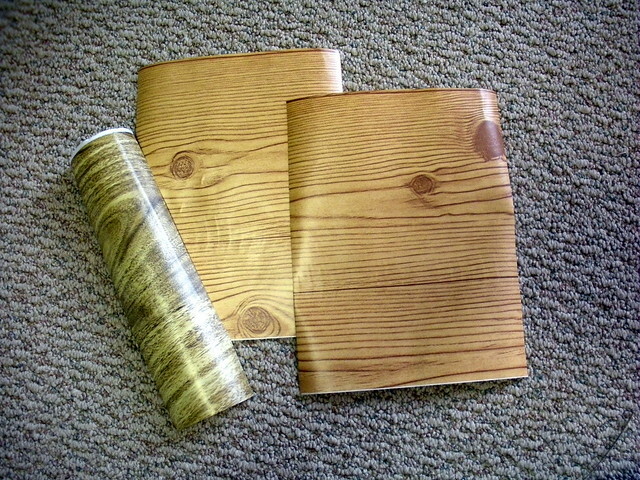 An old notebook & an old pocket folder. I picked up mine from work since they were on clearance for a buck each. So all in all this project cost around 5 bucks. Even less since the contact paper went pretty far. 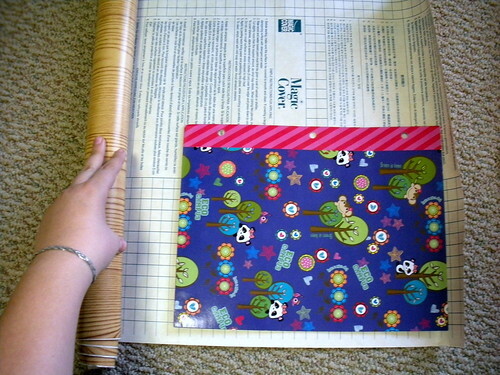 Lay your folder on the back of the contact paper & measure about how much you need. Make sure to keep the edges as square as possible so it's easier to line up. 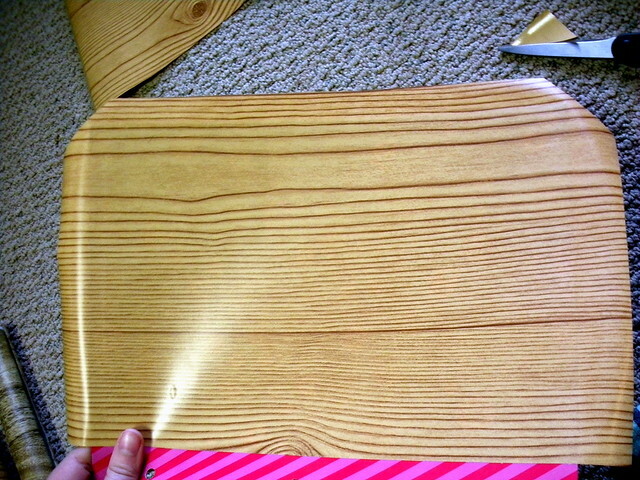 I wanted to keep the pink strips so that I'd still be able to put it in a binder if I wanted to. You don't have to do this part, a regular folder would work just fine. 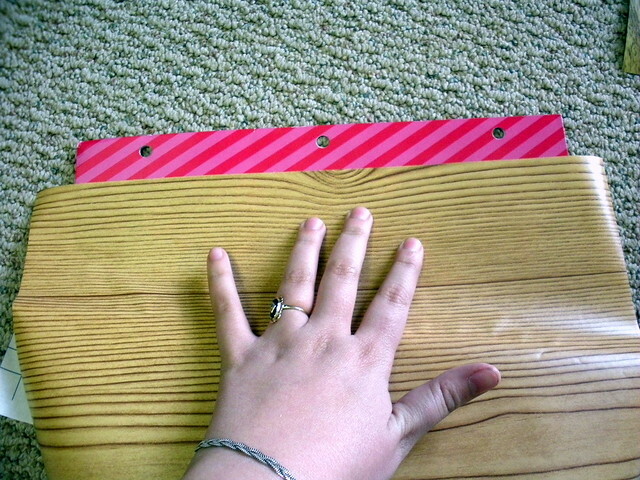 So I measured from the pink stripe to the end & left a little bit to wrap over to the inside. 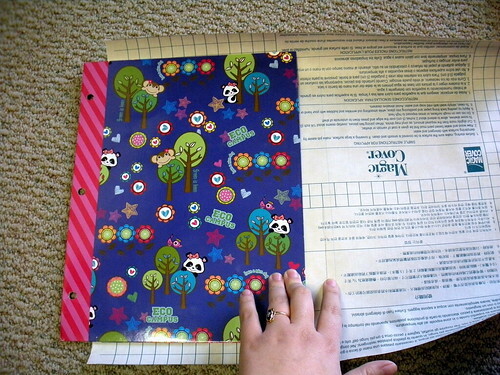 Once you've measured one side of your folder, make a second piece the same size. Measure how you want to cover the pockets. I started out with two strips & then folded them over the flap to make it all look cohesive. Line up the the edges, this is why the paper needed to be as square as possible. Slowly pull out backing while pressing down so there aren't air bubbles. 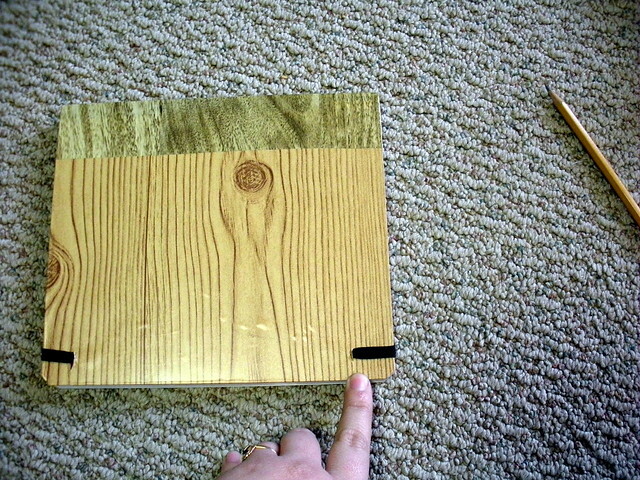 Once you've covered the side, cut the corners to an angle like this to make it easier to fold. Leave a little bit of space from the corner of the folder to the cut. 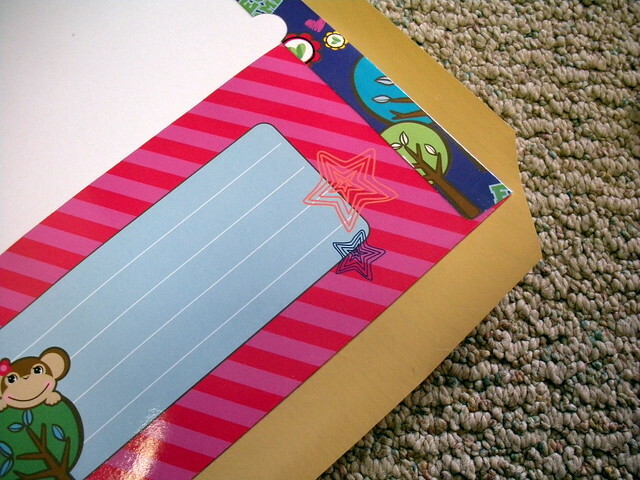 pull the contact paper tight over to the inside of the folder & press down to avoid air bubbles. Start with middle flap, then do the sides. Cut two pieces a little bit bigger than the book flaps & one piece that fits an inch or two on to the book, around the spine, and then an inch or two onto the other side. 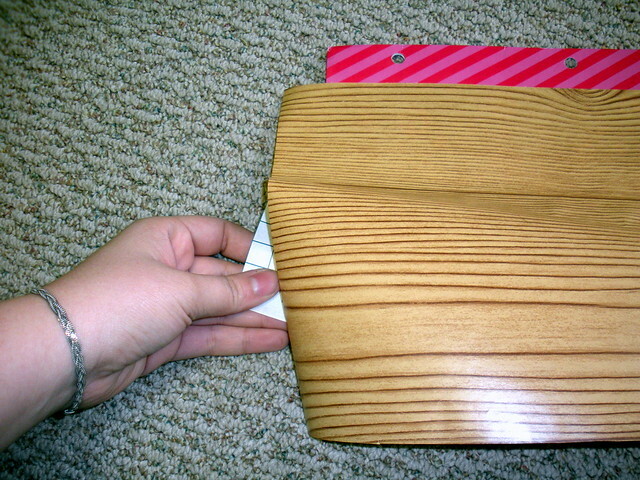 Put the front & back contact paper on the same way with the folder. 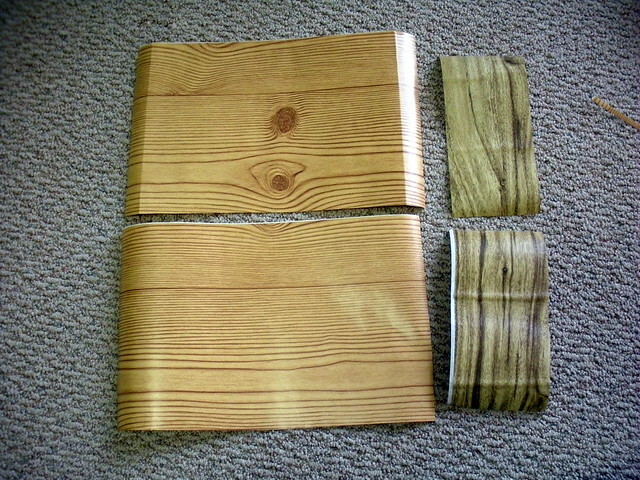 Place spine one inch onto book lined up with top & bottom, pull taught & wrap around spine. Pres the rest onto the back of the book. The spine should line up on both the back & the front. 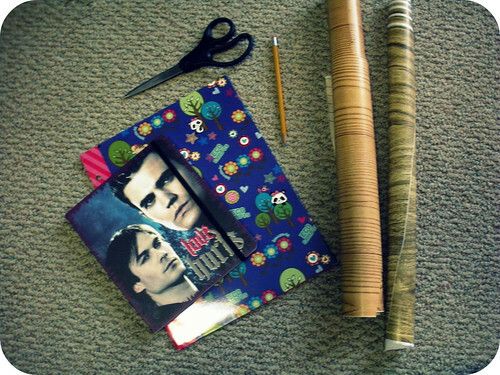 If you have a book like mine where there is little bit of elastic to hold it closed. Cut slits in the contact paper before you wrap it around the inside of the book. once you press the paper down you won't be able to see the slits because the paper will line up with itself. and doesn't have weird men with no legs lying in a valley staring back at you. I think I'll have to sew another little insert for this book now! I was born in TRANSYLVANIA you know, so I am part vampire, lol.